In July 2017, Optus announced that they would be investing $1 billion into improving and expanding their mobile networks by June 2018, especially to rural and regional Australia. These investments include additional infrastructure, upgrading to 4G and broadening their network coverage. Optus have invested more than $3.6 billion since 2015, with the total projected to be in excess of $4.6 billion by the middle of 2018. The expenditure will allow Optus to become more competitive against other major telecommunications companies like Vodaphone and Telstra as well as widening their area of coverage. The company are targeting regions where potential customers live, work and holiday instead of set geographical areas, to better serve their potential customers. The Australian Competition and Consumer Commission recently considered declaring regional mobile networks as share infrastructure, which would have meant that the companies that invest in infrastructure would be forced to sell access to their competitors. The ACCC decided against this direction, based on arguments from major companies like Telstra and Optus that they would be unlikely to invest in regional areas if they had to give other companies access at designated prices. The end of the Universal Services Obligation currently held by Telstra could mean that other major providers like Optus have access to further funding to provide infrastructure and services to regional zones, which could also lead to more competitive pricing for people in these areas. Mobile coverage can be inconsistent for regional Australians, especially in smaller towns or areas along major transport routes. This means that both private users and businesses are unable to access proper coverage. While around 96.5% of Australia has access to Optus’s 4G network, including service being available to all the capital cities and major suburban areas, many people living in regional areas are still using the outdated 3G networks. People living in the capital cities around Australia can take their mobile coverage for granted, but regional areas have far less mobile coverage and less choice between carriers. That means that there is less incentive for major players like Telstra to offer competitive pricing, as a wide section of their customer base can only access a single carrier. With Optus committing their own funds to upgrading their systems, regional Australians should have access to further choices of mobile carrier. Lack of coverage is also a key problem along major transport routes and holiday areas. The transport industry is vital, and having areas with no mobile coverage is inconvenient and even dangerous for drivers who regularly travel these routes. Some areas have a higher percentage of holiday makers than permanent residents which causes their populations to swell and decline at different times, but mobile coverage and access to 4G is still vital to these communities. 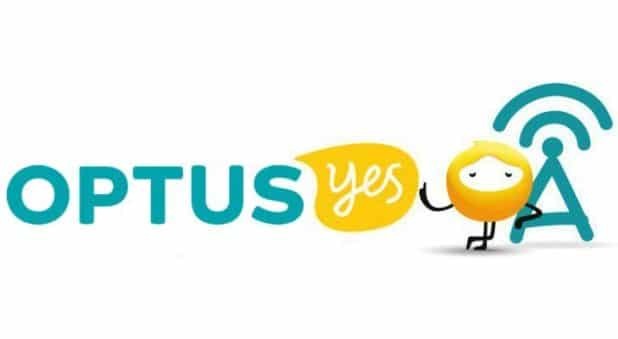 In the latest round of Optus investment, South Australia look set to receive at least 12 new sites, as part of more than 500 sites to go up around the country. 114 of those sites are being constructed as part of the federal government’s “Mobile Blackspots” program. The program combines government funding with cooperation from major telecommunications companies to ensure there are no gaps in mobile coverage along major regional transport routes, in regional communities and other priority locations. Another stated aim of this round of investments is to provide 4G plus access to Optus customers. The 4G Plus network uses the 700MHz spectrum to deliver the fast, reliable mobile internet that is often lacking in regional areas. 4G Plus provides better coverage inside buildings and over a wider area than the previous 3G service. Additional 4G coverage will be provided to more than 200 sites, while the 4G upgrade program will take 1,800 sites from 3G to 4G capability. Currently, Telstra are able to charge around 15% more than other companies, based on their reputation for reliability. They have also admitted that many towers are built not because each one is commercially viable, but because of the overall reputation for coverage and reliability. With Optus’ major investment in infrastructure, they will provide further options for regional customers that could result in a more competitive market overall.